On December 11, 1959, the New York Yankees acquired right fielder Roger Maris in a trade with the Kansas City Royals. 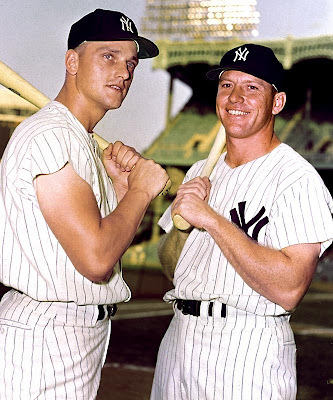 Maris(L), shown here with Mickey Mantle, came to the Yankees much cheaper than did C.C. Sabathia yesterday! In fact, the Yankees only gave up four players to get three, including Roger.